These are truffula trees from Dr Seuss’s The Lorax. They are soft as silk. And they smell like butterfly milk. Whatever that means. Thor LOVES the Lorax. When I say loves, I mean slightly obsessed with. It was the ONLY thing that he would watch. So it was only natural that we had a Lorax themed first birthday party. Which was months ago. And I’m just now showing you my awesome truffula trees. 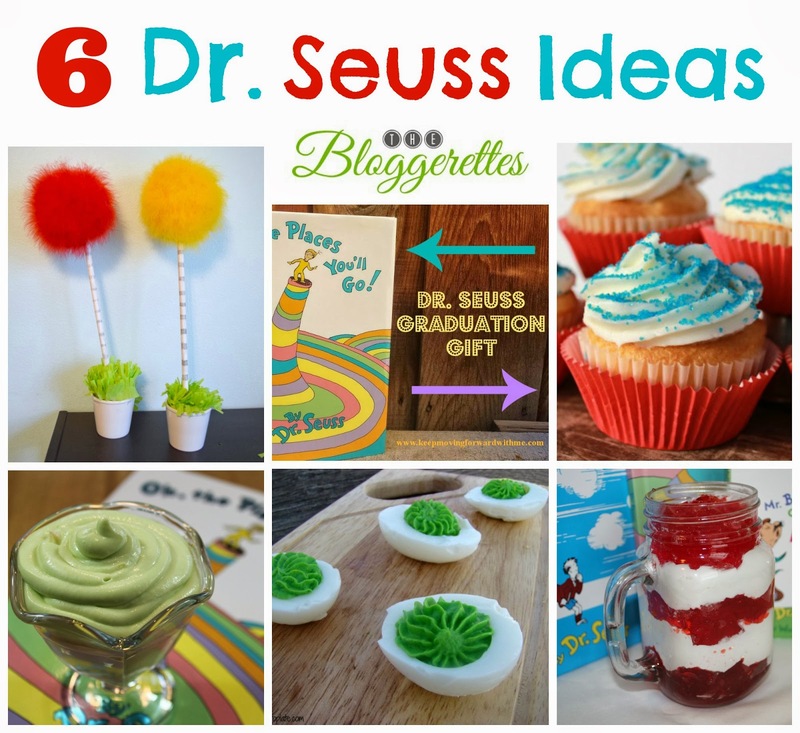 It’s actually part of a roundup of Dr Seuss that I’m doing with The Bloggerettes. You definitely want to stop by and check out all these cute ideas. Did you check them out? Cute ideas huh? I know. You want to hear about the truffula trees. These are so easy to make. Make a hole in the styrofoam ball to fit the dowel. Paint the down with the white paint. Set it aside to dry. Starting at the top of the ball, the side opposite of the hole you just made, hot glue the feather boa in a spiral motion around the ball. You should end up at the hole. Cut off any excess. Using the pencil, draw the lines on the dowel in a scribble motion. We did ours a couple different ways. 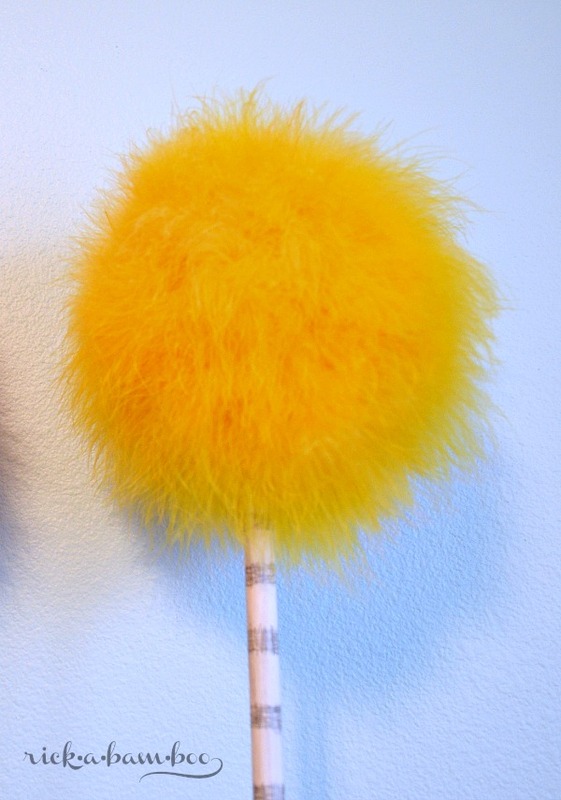 Hot glue the dowel in place in the truffula ball. And you’re done. You’ll probably want to put them into some sort of stand. We chose to put them in little flower pots with some crepe paper grass. Don’t worry if they don’t stand straight up. Not all trees grow straight. Some grow at a slant. And let’s be honest, there’s nothing perfect and even in the world of Seuss. I love them. So does Thor. He loves to touch them and feel how soft they are. Clearly the red one has been touched a little more than the yellow. Aww these are so cute!! I love The Lorax!! One of my favorite cartoon movies! 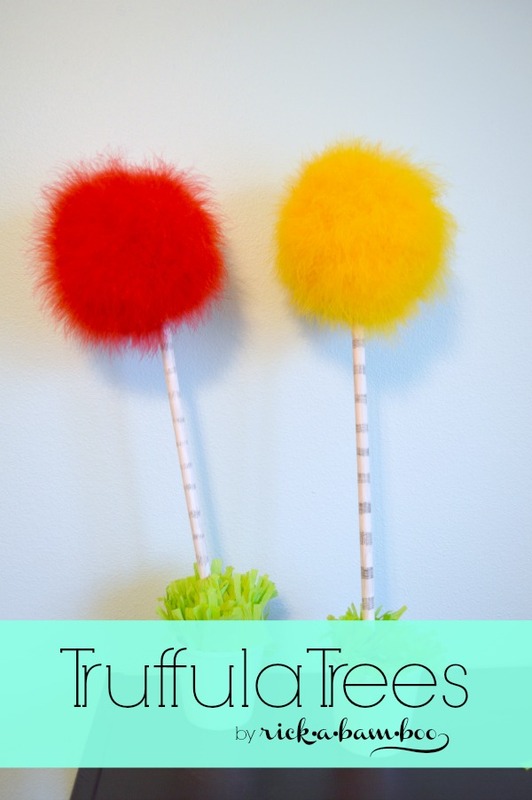 Your Truffula trees turned out so cute – what a fun idea for a first birthday party!! 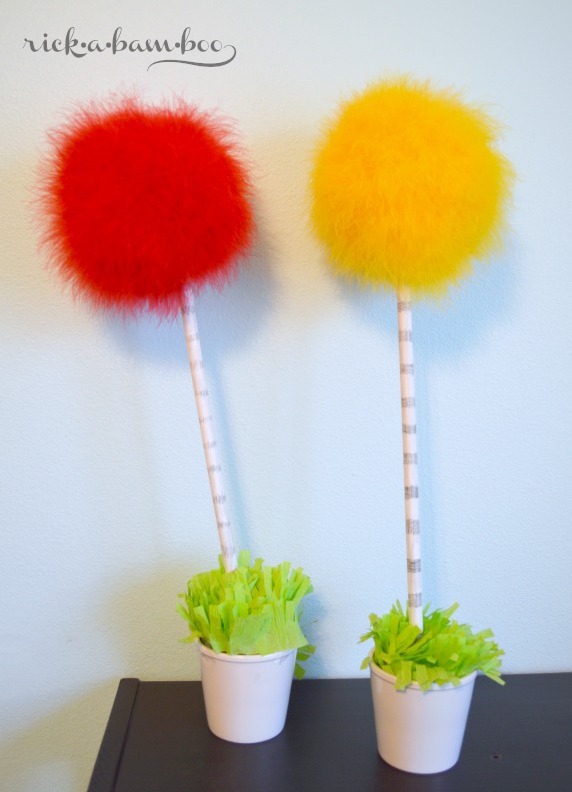 This Truffula trees turned out SO cute! We would love for you to share this at the Awesome Things Tuesday Link Party here:https://artzycreations.com/awesome-things-tuesday-65/ Have a great day! Darling! 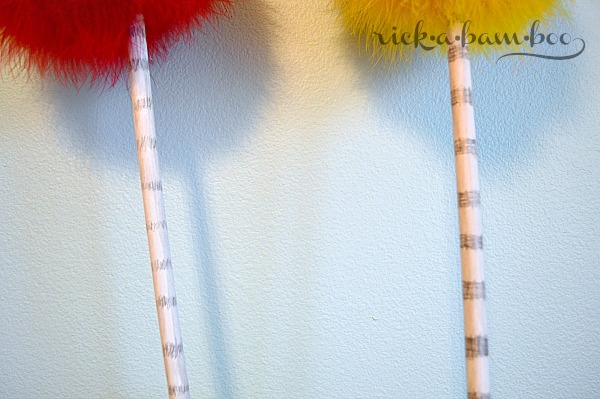 I always miss Dr Seuss’ birthday, but it would be so fun to have a Seuss party with these as decor. Thanks for linking up to Show Me Saturday.